Book reviews – Mobilize This! In a world consumed with quantitative evaluation, don’t forget the power of words and stories to demonstrate impact. 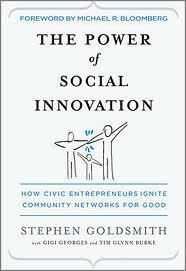 In his book, The Power of Social Innovation, Stephen Goldsmith (@powerofsocinnov) has many good messages for social entrepreneurs and social innovators, but one message that sticks is that it is important to ensure that “excellent doesn’t become the enemy of the good”. By this he advocates that evaluation should not constrain innovation. Evaluation is important but systems of social innovation need to look beyond simple numbers to see quality. York’s KMb Unit has lots of numbers (counting since 2006) to demonstrate its activity, but these fall short of demonstrating impact. 139: # information sessions for faculty and students. 162: # information sessions for community/government agencies. 195: # agencies involved in KMb partnerships. This represents agencies participating in projects, KM in the AM and other KMb Unit events. 369K ($) Funding community agencies raised in collaboration with York’s KMb Unit activities. 771K ($) Research contract funding from partners for collaborative York U research projects via the KMb Unit. 15M ($) External grant funding raised by research teams that engaged York’s KMb Unit to assist with KMb plans. 3.2M number of web hits. Web hits is a measure of traffic but not of engagement; however, it tripled after starting on twitter. 124: number of ResearchSnapshots posted at http://www.researchimpact.ca/researchsearch/. 3,658: views every month from May-Sept 2010. These numbers may or may not be impressive but they only tell part of the story… and not the most compelling part. We recently held a meeting of researchers, graduate students and front line service providers from the York Region Children’s Aid Society (CAS) to get feedback on a CIHR funded project exploring the use of social media to mediate knowledge mobilization. The York U and York Region CAS participants have deepened their collaboration by receiving funding from the Ontario Ministry of Children and Youth Services. These stories and their continued collaboration illustrate the benefits of social media and knowledge mobilization for researchers, students and front line practitioners. Numbers can’t do that. On June 4, 2008 I wrote about Using Evidence by Nutley, Walter and Davies. This book has been my principal KM reference but I have a new, equally favourite, book to recommend to you: Getting to Maybe by Frances Westley, Brenda Zimmerman (of York’s Schulich School of Business, ) and Michael Quinn Patton. Using Evidence is about the science of research utilization (=knowledge mobilization) for policy and practice (=social innovation). Getting to Maybe is about the actors (=social innovators) who operate within a system of social innovation. Using case studies of successful social innovators, Getting to Maybe illustrates how social innovators can maximize the chances of creating an impact and it provides numerous recommendations for social innovators, their organizations (usually NGOs), their funders (usually Foundations) and their receptors (usually policy makers). Getting to Maybe doesn’t guarantee success or present a formula which, if followed, will generate results. Getting to Maybe focuses on key learnings that are important for all social innovators and their stakeholders. Finally Getting to Maybe about creating the right conditions where maybe, change might happen. This book contains valuable lessons and will inform much of the work of knowledge brokers. Order your copy here. • Social innovation is a complex (as opposed to complicated) problem. 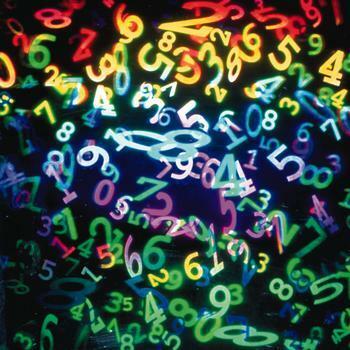 Complexity science can guide approaches to social innovation. • All systems must go through cycles of exploitation → conservation → release (=“creative destruction”) → reorganization in order to remain innovative and avoid the “rigidity gap”. This is why “success is not a fixed address”. • Social innovation is catalyzed through connection, confrontation and collaboration. • It is important to stand still, to reflect and analyze. Reflection is action. This is a particularly important message for me, personally, as I tend to race more than I reflect. • Social Innovation is like improvising jazz: every player listens, understands and everyone leads from their own place of understanding. I am reading Getting to Maybe by Westley, Zimmerman & Patton (more on this book later) in which they reference the work of social innovator Muhammad Yunus, Head of the Economics Department at Chittagong University in Bangladesh. In 1974 Bangladesh was experiencing a famine but “the university grounds were an oasis”. Yanus wrote, “if a university is a repository of knowledge then some of this knowledge should spill over to the neighbouring communities. A university should not be an island where academics reach out at higher and higher levels of knowledge without sharing any of their findings”. Theorizing that credit is a human right, he pioneered micro-credit giving small loans to groups of crafts people, many of the women. This process took a number of years of reflection and analysis following engaging many of the stakeholders involved before he took action. What do we learn from this social innovator? He is passionate but he questions. He acts in the face of uncertainty. His success was built on relationships. His success took time. Lessons for social innovation enabled by knowledge mobilization. I am writing this on vacation in Barbados and I am struck by how all the guests at this lovely resort (see picture below) are white and all the staff are black and I realize this is not unique to the Caribbean. Next time you attend a conference observe how many of the university participants are of European descent and how many people serving you dinner are not and then use that as your opportunity to start your own reflection. Tell us about your moments of reflection by clicking on the “comment” link above.